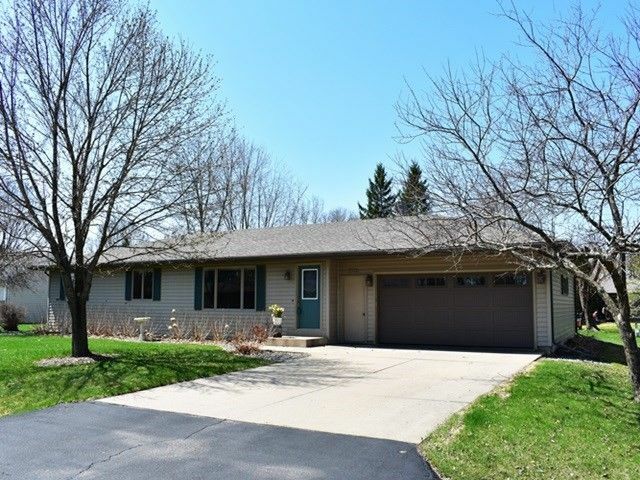 MOVE RIGHT IN to this 3 Bedroom, 2.5 Bath Ranch located on a quiet road! This picturesque home offers a layout that flows, calming neutrals throughout, and a yard with plenty of room for activities. Spacious kitchen with oak cabinets, storage galore, and laminate floors that run through the dining space. Patio doors lead to a deck perfect for grilling out, or relaxing in the sun! Master Bedroom features a walk-in closet and an updated full size bath with tiled flooring. Main floor laundry for convenience.